How to play Multiplayer game in Age of Empires II: Age of King? With an application or from the game? You can access multiplayer on the main menu. 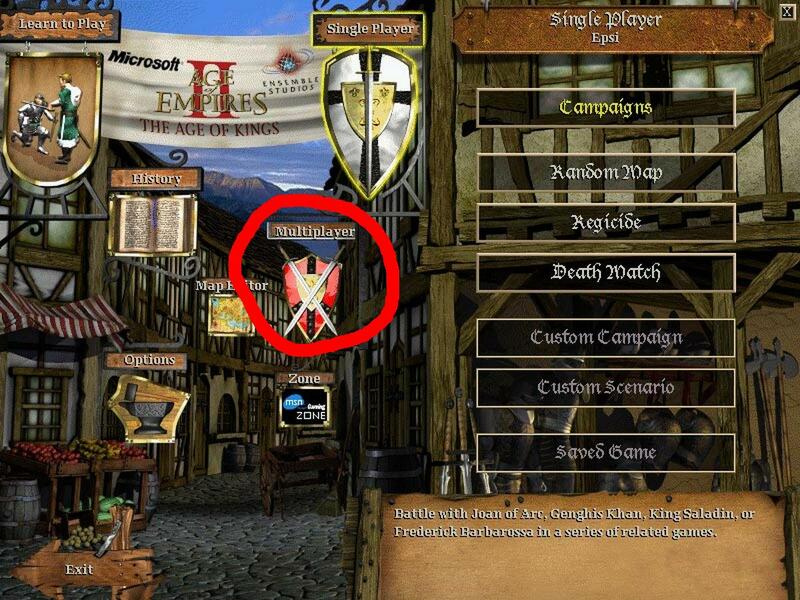 Windows 7 & Age of Empires II: works but not quite? Why does Age of Empires II think my disc isn't valid on one computer only? Can you play Age of Empires 2 multiplayer between PC and Mac?